The proliferation of online news service is the rave nowadays, with the likes of Google and even an unlikely candidate Wikipedia, all toeing the news line; now Apple is set to join the party. According to reports, Apple is planning to launch a subscription news service to be based on Texture, the magazine app it acquired last month, while Texture originally offers its subscribers access to about 200 publications for $9.99 per month. Texture is sort of Netflix for news magazines, while Apple plans to integrate Texture service into the existing Apple News and launch a premium service in about a year time. Apple had cut over 15 staffers from Texture team immediately after the acquisition in March, and most likely will be unifying the remaining Texture staff into the existing Apple News team as well. While the erstwhile Apple news app called Newsstand combined several magazines and newspapers, but the publications were only provided on personal subscription basis. 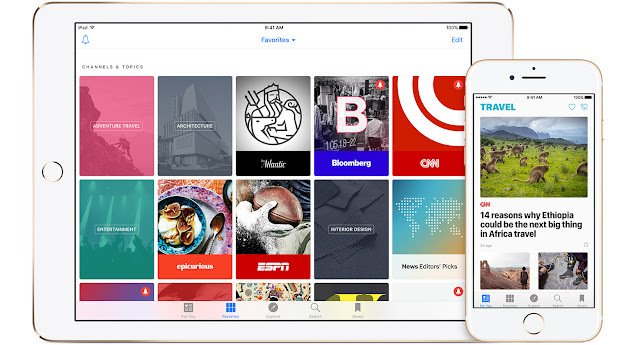 And the later offshoot of the service, Apple News which was launched in 2015, also took same format, albeit this latest subscription service involving multiple publications could steer Apple News to the next level and perhaps lead to revenue resurgence akin to the $9.99 offering per month for Apple Music. Apple currently earns revenue from subscriptions for its iCloud storage and Apple Music, and it's also getting a cut of subscriptions sold by third-party apps on the App Store. The launch of a news subscription service based on Texture would add to the other paid services to beef up Apple's revenue streams, including from iCloud storage and music streaming on Apple Music.